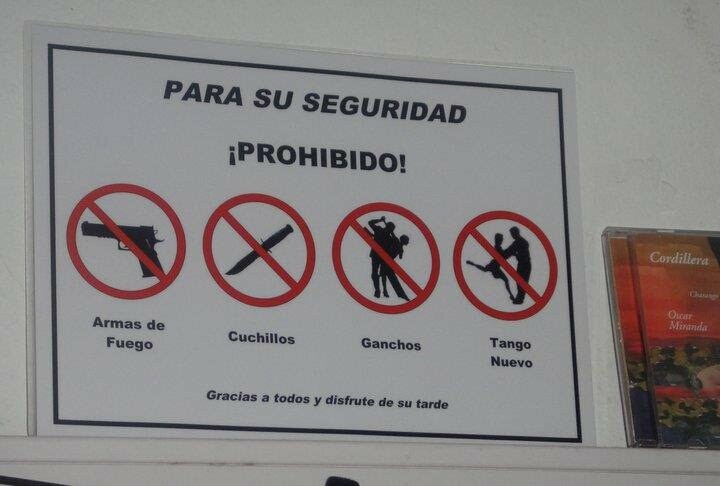 Beware of the Tango Police! Some milonga organizer in some Spanish speaking country (guessing Argentina) has a great sense of humour! But behind every joke is some truth. I am sure many tango organizers feel this way!